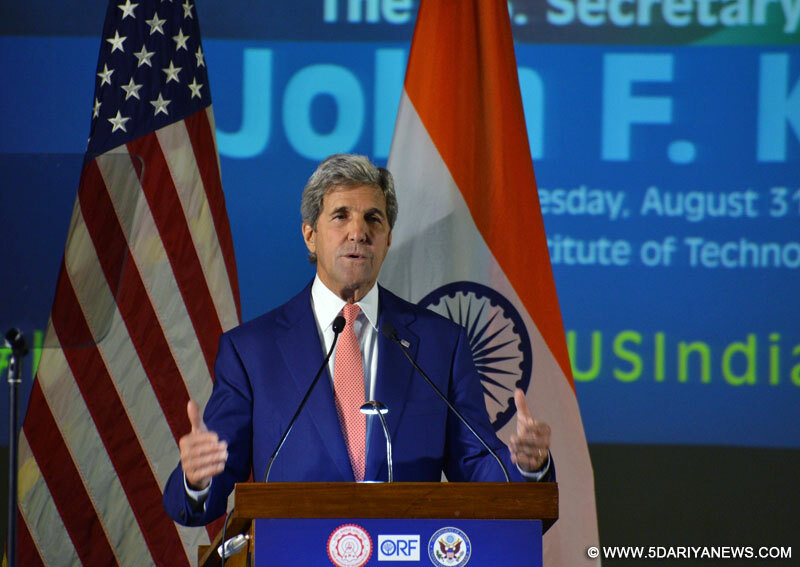 US Secretary of State John Kerry on Wednesday said Pakistan needs to push harder to fight against terrorism and to deal with groups like the Haqqani network and Lashkar-e-Taiba.In response to a question at the IIT Delhi about terror emanating from Pakistan, Kerry said: "I have been working on this issue very hard. ""I have had many conversations with the Pakistan President, Prime Minister, particularly Prime Minister (Nawaz Sharif), about how to focus on sanctuaries in the western part of the country, how to deal with the Haqqani network, deal with Lashkar-e-Taiba," Kerry said. "It is clear that Pakistan has work to do in order to push harder against its indigenous groups that are engaged in extremist terrorist activities... "And it must work with us to help clear sanctuaries that are affecting relationship between Pakistan and India and also our ability to achieve peace and stability in Afghanistan," said Kerry. "In fairness, Pakistanis have suffered greatly due to terrorism in their own country. Fifty thousand people have been killed," he said. "All of us need to understand how difficult it is to take it on step by step. We all need to work hard to help each other in order to get rid of non-state actor disruptors who are greatest challenge to security of all of us in world today," he added.